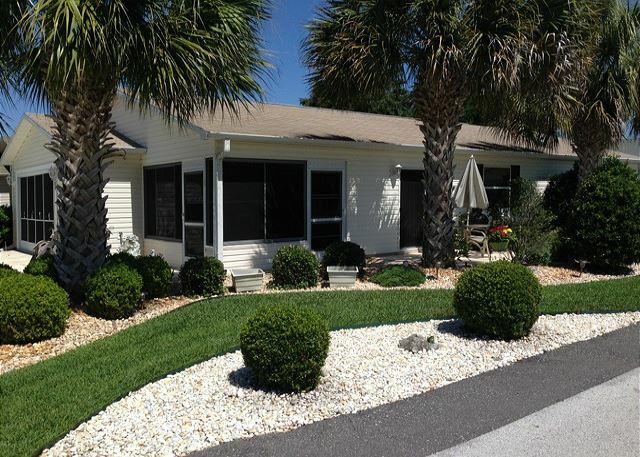 This well decorated 2 bdrm villa has all the comforts of home including a golf cart & Wi-Fi. 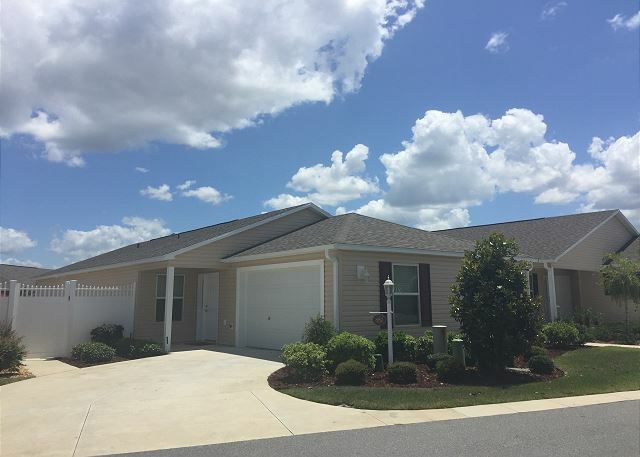 You will love the location of this home as you are between the Lake Sumter Landing Market Square and Spanish Springs Town Square! You fall in love with this home! Location, Location, Location! 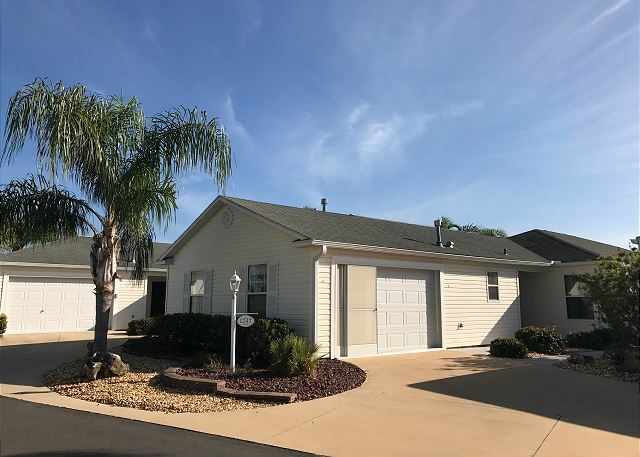 This beautifully decorated home comes complete with all the comforts of home including WiFi internet so you can stay connected while on vacation. 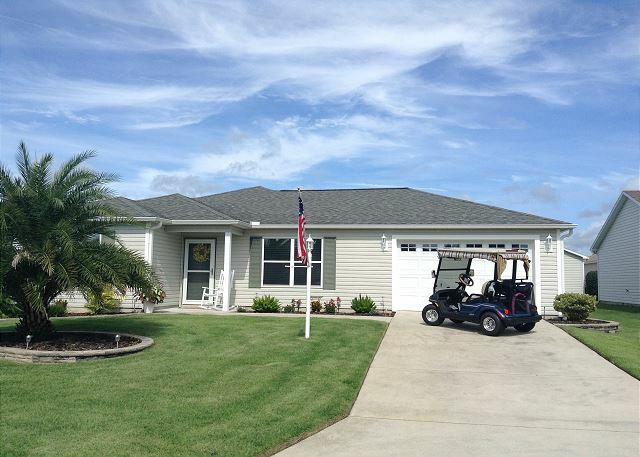 This beautiful home is located in the neighborhood of Chatham where you're minutes by golf cart to shopping, restaurants & golfing. 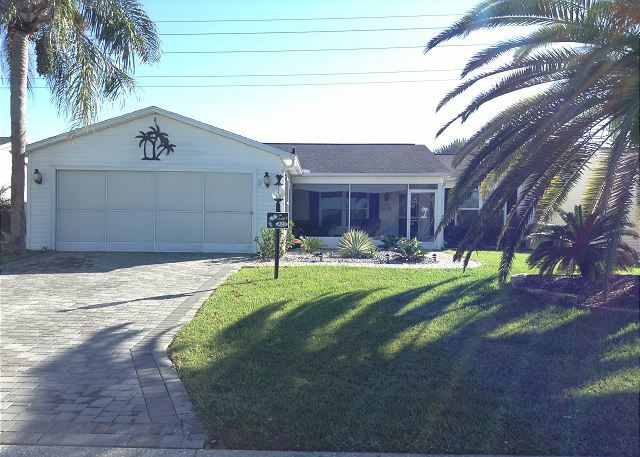 The screen enclosed lanai overlooks the lake across the street where the sunsets will take your breath away! This amazing 2 bedroom villa comes complete and includes a bicycle, Gas BBQ Grill & WiFi internet. The location is amazing! You will love being nestled away in the quiet neighborhood of Woodbury. You'll feel welcomed as soon you open the front door to your home away from home. 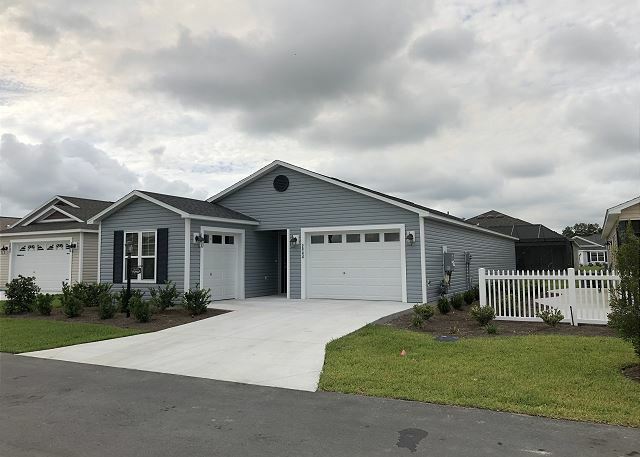 This home is beautifully decorated and boasts a bright open floor plan and comes complete including a charcoal BBQ grill & Wi-Fi so you can stay connected while on vacation. This beautifully decorated 2 bedroom home is located in Rio Ponderosa, This home comes complete with a PRIVATE BACKYARD VIEW, BBQ and HOT TUB. 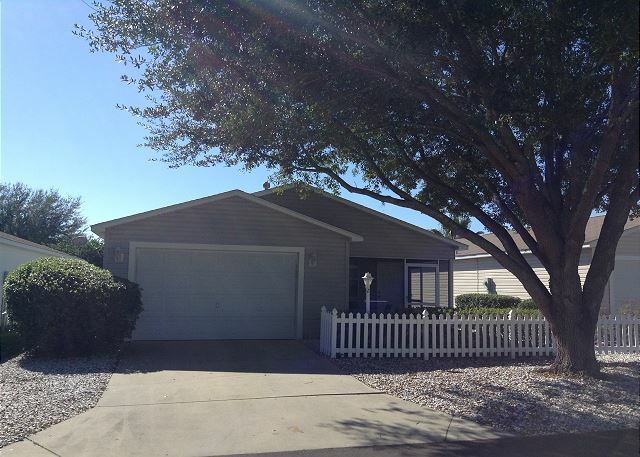 This beautiful 2 bedroom 2 bath villa is located in the desirable neighborhood of Creekside Landing. This home comes complete with FREE WiFi internet, pack your bags and your home away from home today. 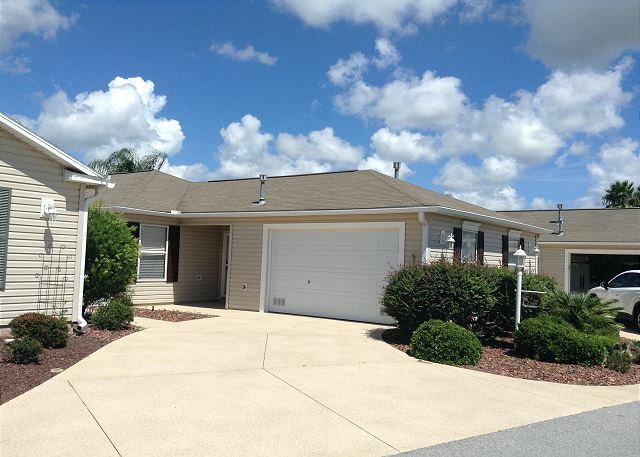 This beautifully decorated 2 bdrm home will have you not wanting to leave at the end of your vacation! You are only minutes away from recreation & FUN! This beautiful home includes all the comforts of home like WiFi internet so you can stay connected. 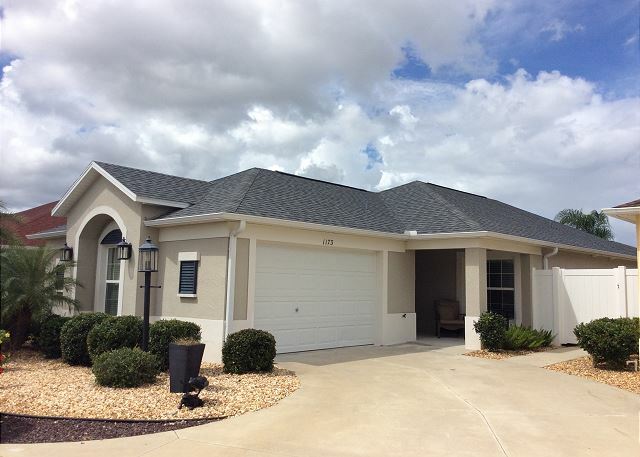 This beautiful home will make you feel at home while giving you your own peaceful escape on your vacation! 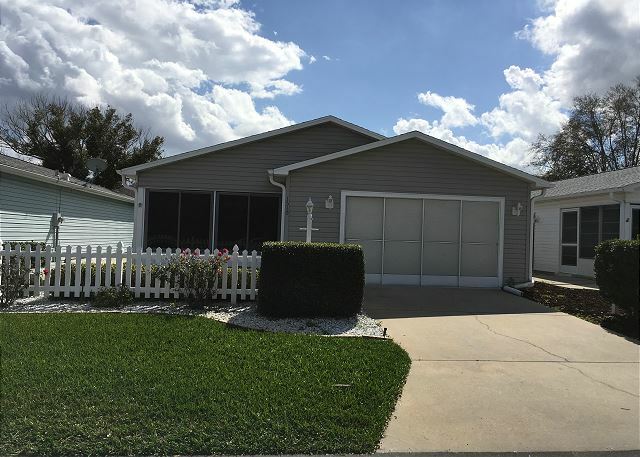 This 2 bedroom 2 bath home offers everything you're looking for in your get away including Golf Cart & WiFI to stay connected with friends. This beautifully decorated 2 bedroom home is conveniently located close to Spanish Springs Town Square. 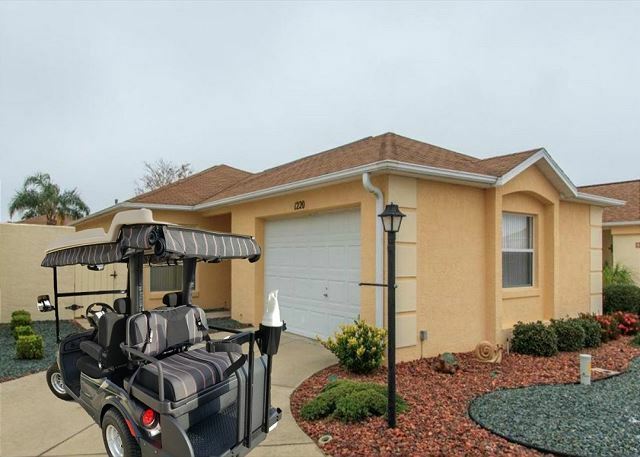 This home comes complete and includes a 4-seater golf cart & WiFi internet connection.